The hardest part of making healthy choices and lifestyle changes is making it a habit. It's easy to make a decision to "eat better", "exercise more" or whatever your current plan is. It's a lot harder to stick to it on the rough days, for long enough that it becomes a habit and part of your life that you can't imagine being without. I love a bit of tech. I am a super geeky science nerd and finding ways to use technology to support my health and fitness makes me very happy. So with this in mind I thought I'd give a quick run down of my favourite smartphone apps for developing and maintaining healthy habits. I'm starting with this one because it's mad and I love it. Habitica is basically a to-do list app, but it's specially for the gamers among us. If you are familiar with Dungeons and Dragons, and all the games that grew out of that system and fantasy world, you will recognise Habitica. The app allows you to create 3 types of to-do list: Daily tasks, that must be completed every day (or at certain intervals, or on certain days in the week), one off to-do tasks, and habits. Completing the tasks gives you experience points, and gold, which you use to improve your little avatar character. Failing to complete a daily task causes you to lose health, as does partaking in a negative habit. You set your own lists, though it starts out with some templates to give you some ideas. My lists include everything from daily yoga practice to putting the rubbish out every Wednesday to listening to my children read. You can join up with a party to take on challenges, in which case your accomplishments and slips also affect your teammates, that's some accountability right there! It's kind of silly, but it works because it taps into some really useful psychology surrounding motivation and reward. It's well understood that little games (like Tetris, Candy Crush and Farmville) are highly addictive, particularly so for some individuals. They actually trigger the reward centres in your brain, powerfully. This app taps into that. It has a great balance of working towards goals (levelling your avatar, buying new equipment) and random bonuses (eggs and food to hatch and level your pets and mounts), to bestow your daily chores and boring work tasks with the same kind of high you get from playing those "pointless" Facebook games. It works online as well as through a smartphone app, so you can use either. The only serious downside I have found is that by roughly level 50 you kind of run out of things to achieve. To be fair though, it took several months to get to that point, by which time I found completing my daily tasks had become an automatic part of my day that didn't really require monitoring anymore. The app is free to use, but you can buy some add on stuff, which isn't too expensive, if you want to support the developers. Headspace is a subscription service, but I would thoroughly recommend that everyone tries out their 10 day free trial which gives an excellent introduction to mindfulness. 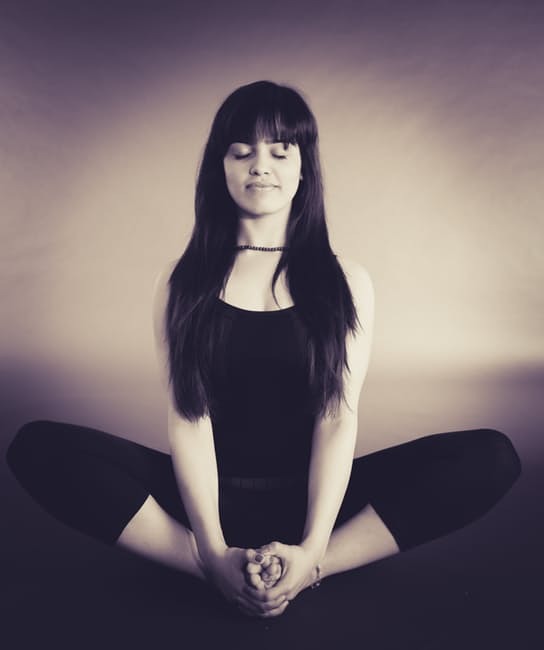 If you only do those 10 minutes a day, for 10 days, then you can gain an understanding of what mindfulness meditation is about, and if/how it might benefit you. Then make the decision whether to subscribe, find other meditation guides, or go it alone. Headspace is all about meditation which is a great way to manage your stress levels, improve your sleep and gain awareness of your own motivations, fears and the barriers that are getting in the way of your life goals. I wrote about the importance of managing the contents of your brains in my last post - the impact on your well being is enormous, give it a go. My Fitness Pal offers a free app, though it does have paid upgrades which allow you to go ad-free and access more content, such as recipes. The app is brilliant for tracking your calorie intake, you can scan barcodes from your meals (or ingredients), and it has an excellent library listing the calorie content (and macronutrients) in an enormous range of foods in various brands and also generics (like takeaways). It is compatible with various fitness trackers to check your calorie output, or it will calculate your Basal Metabolic Rate and allow you to input extra activity manually. I stopped using MFP when I got my Fitbit and started using the Fitbit app, but I still use it to look up calorie counts as the library is the most extensive I have found yet. Map my run uses your smartphone to track your workouts on the move. Like My Fitness Pal it offers a free basic app, with ads, or an upgrade with more features and no ads. I use just the free version. 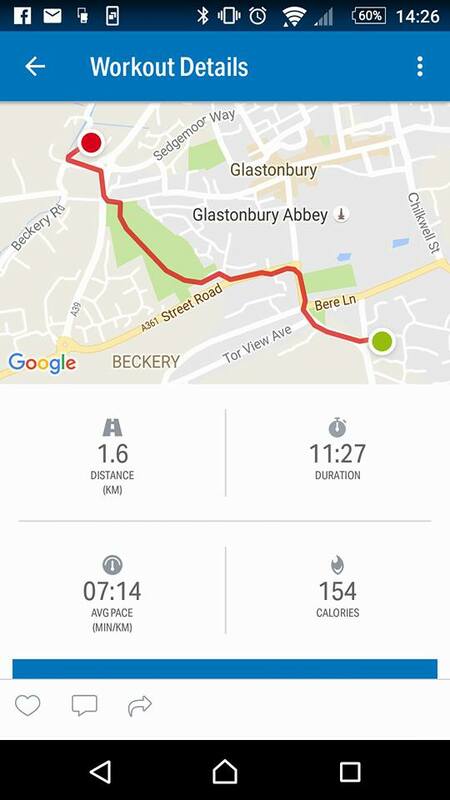 The app uses the GPS on your smartphone to track your walk/run routes, it then lets you know how far you have run, how fast, the elevation etc and allows you to share it with friends. If you are short on route ideas then you can check out what other users in your area are recommending. the upgraded version (MVP) also offers voice coaching to help keep you on track. Trainerize is my chosen software for online training, and for interacting with private clients between sessions. It allows a personal trainer to build workouts that clients can access through their smartphone - complete with demo videos. It allows the client to input their own information including workouts, weigh ins and progress photos. 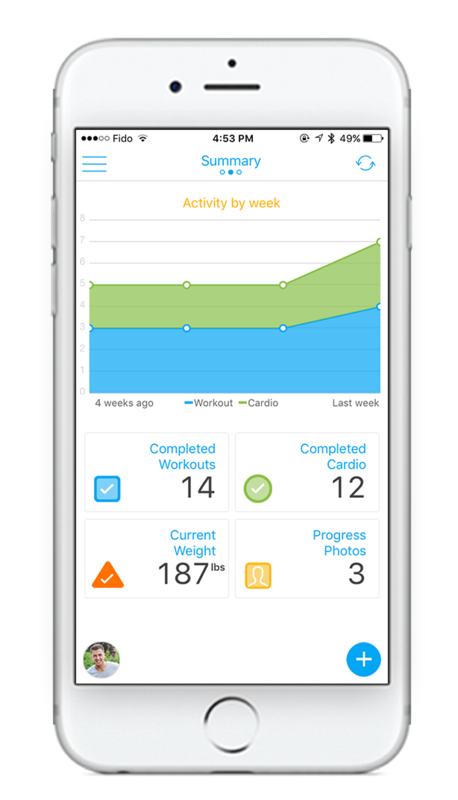 Clients can even synchronise their fitness tracker to the app, allowing the trainer to get a really clear picture of how their workouts are going. The built in messaging systems allows trainer and client to keep in touch regularly. It's a great way for clients to be involved in their training and for trainers to provide plans, paper free. Fitbit is the probably the biggest name in fitness trackers, and I almost don't want to include it here, because it's kind of obvious. On the other hand it is the most frequently used of my fitness apps and it is the most broadly useful of the apps I use. The app is free, but to get the most out of it you'll need to make a one off investment in a Fitbit Tracker. My current model is a Charge HR, and I love it. So much that I am seriously considering upgrading to a fancier version. You can link a Fitbit tracker to a number of apps, but as the Fitbit app is the one specifically designed for the purpose, it makes sense to run with it. The app records all kinds of information, depending on your tracker model, including calories expended, step count, sleep duration and quality, calorie intake, water intake, heart rate, weight, body composition. You can pick and choose which of these you find useful to keep an eye on. Recording means accountability, this app has almost replaced my nutrition and workout journal, and most of it is automatic. You can also have a friend network within the app which allows you to compare and compete with your friends. I love the step challenges and I find that competing with my friends gives me that extra motivation to fit in a couple of thousand extra steps wherever I can. For me, the greatest benefit is gaining a proper understanding of my calorie expenditure. It didn't take long for me to start noticing how I was failing to fuel myself with enough calories on heavy training days and overeating on rest days. Tracking both output and intake has allowed me to be much more efficient, avoid post-training fatigue and lose fat mass. The one down side I have found to the Fitbit app is that the library of foods is not as extensive as My Fitness Pal, and the barcode scanning almost never works. Overall though, I wouldn't be without it. When they bring out a tracker that allows me to input calories from my wrist instead of my phone, I'll be all over it. Technology is becoming a major part of fitness now, from trackers and apps to online PT. Lots of gyms are now using Wattbike. I am about to start working with a gym which uses Technogym systems which allow users to sync information from their gym workouts to a phone app and share with their trainer. There's a place for us nerds in fitness, and I'm loving it.